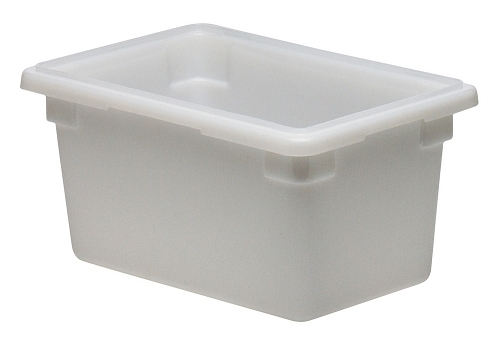 Cambro's Poly Food Storage Boxes provide an economical and safe alternative for storing bulk fruits and vegetables.Each Food Box can easily hold a full case of lettuce and using matching flat lids helps increase storage space making it easier to stack on the of another food box. Made of impact,stain,odor and chemical resistant solid polyethylene. Texturing on bottom of boxes reduce scratching.